The Surf mast is the obvious choice to go with the Surf sail as well as the Scion sail, tying a neat package that works in simple synergy. 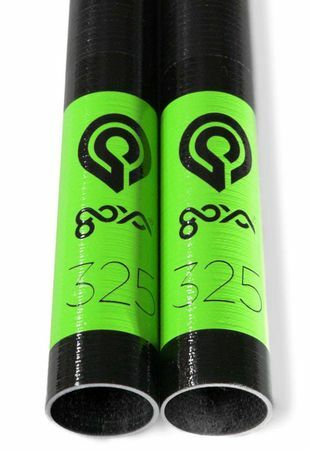 These epoxy masts have been designed to work perfectly on your Goya kid’s gear. While their construction is similar to our full size mast, their layup is simplified and lighter, while still ensuring the kind of strong product you expect from Goya. Because long adjustable tops look kooky. With the Surf mast line we’re offering you a wonderful solution to that long mast top sticking out of your kid’s sail. This reduces swing weight, uphaul weight and carrying weight. It also makes the sail perform and look better. Back in the day we learned on beginner gear that was makeshift and old. Today we see beginner gear that is patchworked and lackluster. We believe that quality matters from day one. The motivation that comes from easy and supportive gear is irreplaceable, especially for kids lacking our physical strength. Hence we’re offering a complete package of boards, sails and components, including tailored masts to match the Goya Surf and Scion sails. Because quality matters. © Copyright 2019 Surfschule Lindau. Alle Rechte vorbehalten.